Political intrigue and Action thriller. Our founding fathers could never have foreseen that we would want to put "Term Limits" on the persons we elected to lead us. Great story and wonderful details about the Secret Service and Special forces. A good read worth the time. Here is a inside look at political power and the way goverment moves, all in a action thriller. It was a little slow in the beginning, but he pace picks up as you get a third of the way thru it. Fictional tale set in exactly today's political climate. Chillingly realistic ...... Too bad these term limits are a bit extreme ..... But so very necessary. Vince Flynn books should be read by all our politicians in Wash DC. 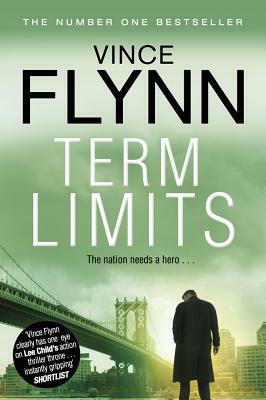 Unfortunately, there are not politicians with fortitude and pride featured in Vince Flynn books. Good story!